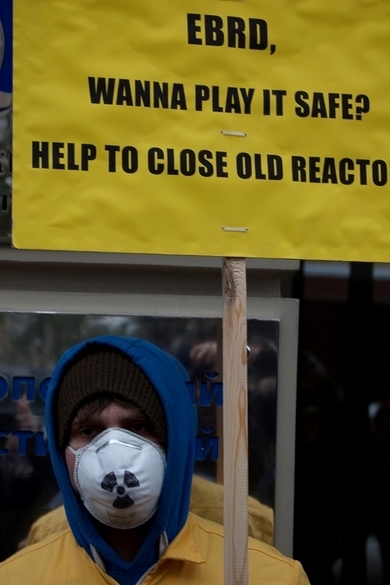 A protest action held today in front of the EBRD office in Kiev by Greenpeace and Bankwatch highlighted the dangers of Ukraine’s plans to prolong the operations of its 15 nuclear reactors. The groups called on the European Bank for Reconstruction and Development (EBRD) to take safety more seriously than Ukrainian authorities and invest in decommissioning rather than lifetime extensions. To illustrate the very real danger of a nuclear accident that comes with these plans: In December 2010 the operation of the reactor #1 at the Rivne Nuclear Plant was extended by 20 years. Just one month later an incident occurred. An action we held today together with Greenpeace (see images below) reminded of these dangers and reflected the growing opposition to financing the prolonged operation of outdated nuclear reactors in Ukraine with European public money. 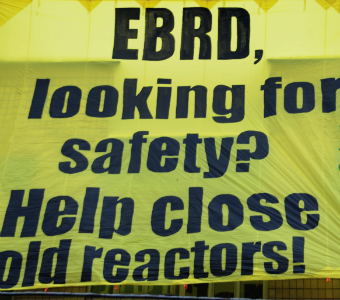 We called on the EBRD to reconsider its involvement as long as the ‘Safety Upgrade Program’ is not truly and exclusively designed for safety measures – which above all must include the decommissioning of old reactors. And as expected, disapproval in Ukraine and abroad is increasing with more people knowing about Ukraine’s intentions to rely heavily on nuclear energy  even though it hasn’t made any investments into the infrastructure that is necessary for the long-term storage and the disposal/reprocessing of used nuclear fuel and nuclear waste – and although safe low-carbon alternatives are available. If the EBRD takes nuclear risks more seriously than Ukrainian authorities and really wants to improve the safety of Ukraine’s reactors it should work together with Ukraine on the decommissioning process of its oldest nuclear units. 1. The Energy Strategy of Ukraine until 2030 clearly implies the extension of operation of all nuclear reactors by 20 years. 2. 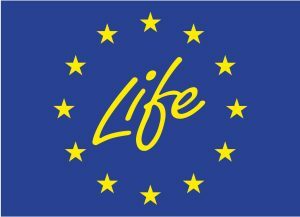 The Government adopted the lifetime extension programme without discussing it with its citizens and without properly estimating its impact on the environment, which contradicts the requirements of the UNECE Convention on Access to Information, Public Participation in Decision-making and Access to Justice in Environmental Matters” (Aarhus convention). 3. According to the Energy Strategy until 2030, the Ukrainian Government plans to cover over 50% of the country’s electricity needs with nuclear energy.